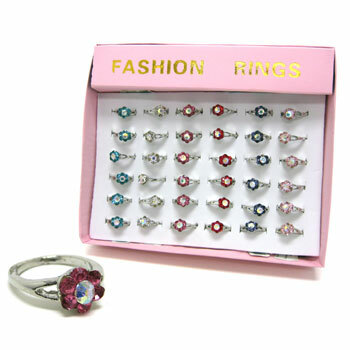 Rhinestone flower design ring. 1 inch by 1/4 inch. 36 rings per card. $15.90 per card for 9 cards or more. $13.65 per card for 18 cards or more.